From the team that brought you Arizona Sunshine, a new VR strategy game is coming to PS VR in early 2019! 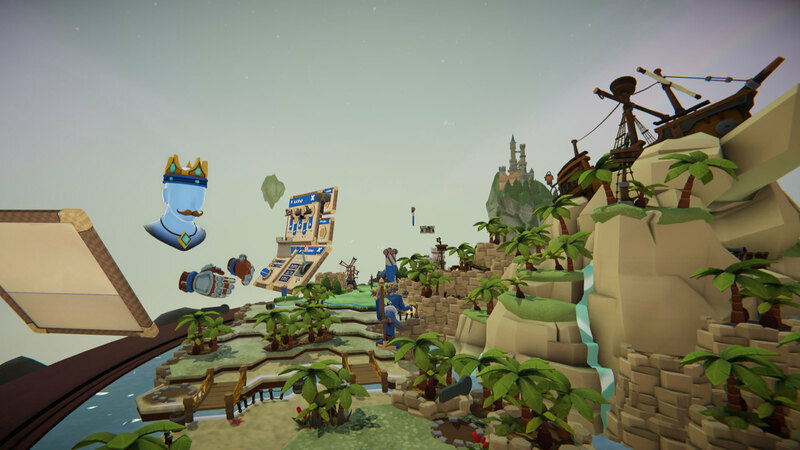 Skyworld is all about building your army and commanding your knights, snipers, catapults, even dragons and many more unique units as you tower over your toy-like battlefields made of the stuff of classic strategy fans’ dreams. In a unique blend of classic turn-based strategy, deck building and fast-paced real-time battles, Skyworld offers a story-based campaign spanning eight unique Skyworlds for you to conquer from a range of enemy commanders. 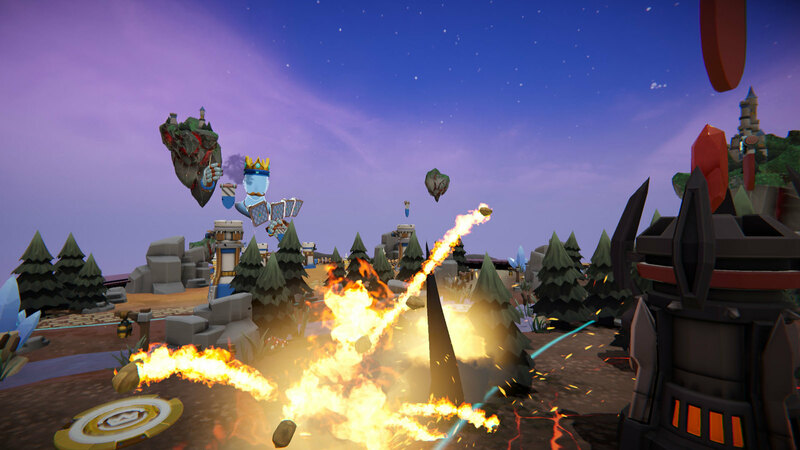 Or prove your might against other players online in Skirmish mode… for Skyworld! Turn-based world building takes place in the so-called Overworld; this is the world map where you lead your kingdom, construct buildings such as mills, quarries, lumberjack huts and more to support your increasing population and set out to claim new regions for your growing kingdom. Of course, this will bring you head to head with your inevitable enemy. Clashing in the Overworld will see the whole world flip as you’re taken into the so-called Battle Arena to fight out the battle in real-time! Choose from up to 16 unique units — from ground units like swordsmen to areal units like blimps and dragons — that you built and researched in the Overworld and see your troops come alive on the battlefield. Manage your mana level, choose strategic deployment spots and tactically counter enemy units to ultimately destroy the enemy’s castle. Tough battle? Throw up to seven unique magic spells like freeze spells and fireballs to directly influence the battle and turn the tide. We’ve designed the game purely for VR to create an experience that is as smooth as possible. The UI can be adjusted to players’ own preference and even the world can be lowered or raised. We’ve tried to make the interactions as physical as possible without them ever getting tiresome. It’s cool to pick up pawns and pull levers, but you want to do that in the comfort of your chair without the need to stretch or twist your neck around. There’s just something instantly gratifying about physically walking around your kingdom, seeing your troops come to live in the battle arena at the flick of your wrist, and manipulating the battlefield to totally wreck your opponent’s army and kingdom. But maybe that’s just us. 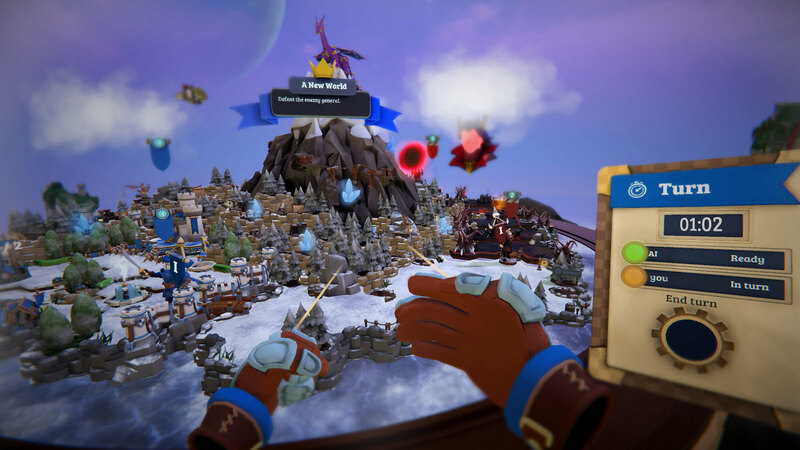 With many huge strategy fans on our team, after bringing the FPS genre to VR with Arizona Sunshine, we set ourselves the perhaps even more ambitious goal of reinventing the strategy genre in an addictive and easy-to-pick-up-hard-to-master VR title with Skyworld. We sure hope you’ll think we succeeded when Skyworld hits PS VR in early 2019!